After an accident, you’ll need compensation for the injuries and expenses that will accrue after an injury. Injuries are expensive, and it can take time to fully recover from your suffering. Fortunately, your insurance should help you recover, right? Unfortunately, that’s not always the case. Insurance companies may prioritize their profits over your recovery. So, you’ll need to know how to convince the insurer that your claim is valid. Fortunately, a lawyer from Craig Swapp & Associates can make that easier. When the insurance company tries to deny your claim, fight back with evidence and the help of a good personal injury lawyer. When you’re seeking a settlement from your insurer, your medical exam results could help you. Proving that you were injured could help you get the full settlement you deserve. If you didn’t initially provide all the information you needed to, or if you didn’t immediately seek out medical care after the accident, this could be difficult. For example, let’s say you slipped and fell, leaving you with a concussion. At first, however, you thought you were fine, so you weren’t taken to the hospital. Later, however, the symptoms become difficult to deal with, and you need help. We understand that it’s hard to know what to do after suffering a brain injury in an accident. The insurance company may dispute whether the accident caused your brain injury, but by providing more evidence that you were injured, you’re more likely to get the settlement you need. Your employer may be able to help as well. If you missed work because of your injury, the information about your lost wages could help convince your insurance company that you did suffer an injury and need a settlement. Let’s say the symptoms of your head injury are affecting your work. You’re unable to focus, you’re drowsy, and you’re struggling to make decisions. You’ll need to take some time off, which makes your lack of a settlement more difficult. Fortunately, the evidence of your lost wages can help. If you suffered an injury serious enough to leave you unable to work, this evidence can help you convince your insurance company that your claim is valid. You’re already struggling to overcome a serious injury. Worse, your insurance company is skeptical about your personal injury claim. They might have even denied it, stating a lack of evidence, for example. So, how do you convince the insurer that your claim is valid? 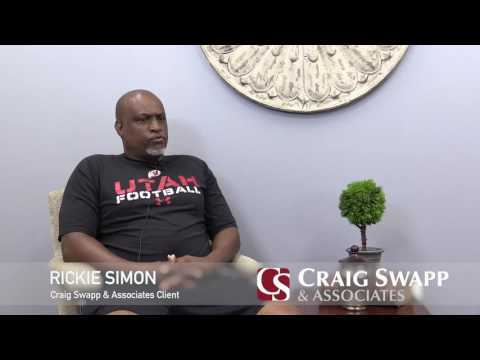 It’s tough to gather the appropriate evidence needed, but your attorney from Craig Swapp & Associates can help. Before you sign anything, our lawyers can review the ways you can fight back when your insurer doubts your claim. As a client, you’ll have the help you need to gather evidence and convince your insurer. Ready to get started? Reach out by calling us at 1-800-404-9000 or by completing the online form below.